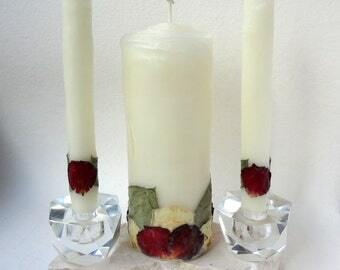 Pure beeswax rose candle sculptures in natural white or natural honey, adorned with air-dried rose petals, leaves & whole roses (dipped in beeswax to preserve their beauty), on hand-cut natural stone bases. 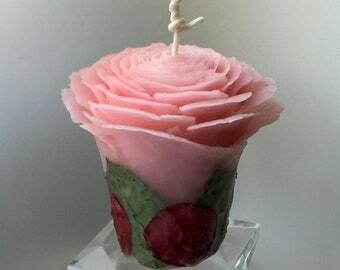 Handcrafted at my art studio in California, each candle is a made-to-order, ooak work of art. 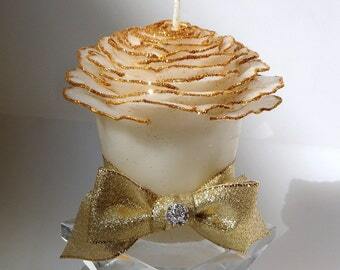 Sent to you or directly to your gift recipient, gift-wrapped in a clear box tied with gold tulle & ribbon. • BASE: rose candle is securely attached with molten beeswax to a hand-cut natural stone (e.g., travertine, granite, marble) with felt corners on bottom to protect your furniture, signed by the artist (me!) on bottom of base. 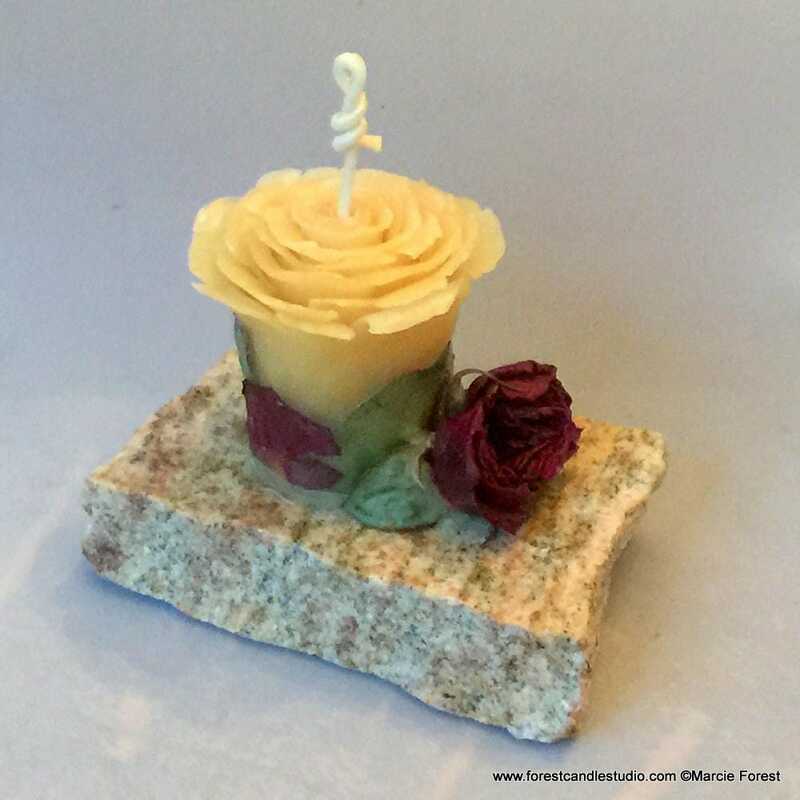 Type of stone used for your candle is my choice based on what's available at the time of your order and what color & shape looks best with your rose candle. 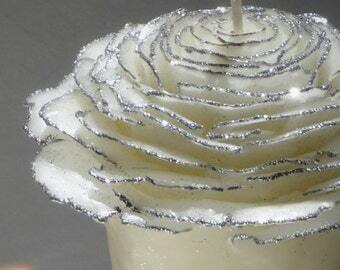 Beautiful work once again, easy to work with , great customer service, one of kind candles .